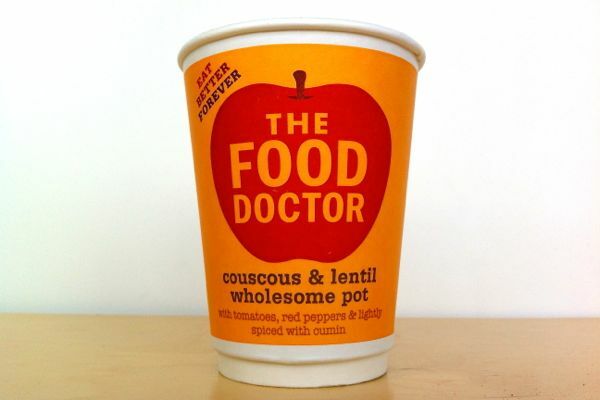 New on the market from The Food Doctor "The UK's leading nutrition consultancy"(what a mouthful) are Pot Noodle style vegan snack pots. The instant hot lunch pots come in three varieties, one based on couscous and two on a mix of bulgar and quinoa. We took the couscous and lentil pot for a lunchtime spin.